The big WWDC 2018 keynote is over, and Apple spent the entire time focusing exclusively on its new operating systems. If you missed it, here’s a list of all the nifty stuff announced. 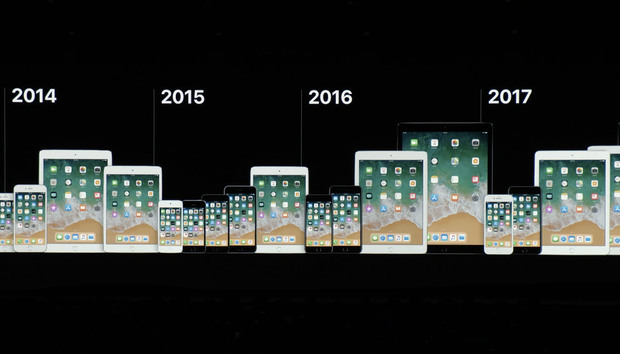 All the new operating systems—iOS 12, watchOS 5, tvOS 12, and macOS Mojave—are expected to be released this fall (in September, if history is any indication). They’re full of hot new features, but new features often come with a price. Major new operating systems don’t always support the same devices as the current version. Will your Apple device run the new OSes when they debut this fall? Consult our lists below. Good news! The new version of iOS will run on every iPhone and iPad that supports iOS 11. The new OS is chock full of awesome features, but if you have an older device, you shouldn't worry too much about it slowing your iPhone or iPad to a crawl. A top focus for Apple this time around is improving performance, and it's paying particular attention to older devices. So there’s a good chance your iPhone 6s will actually be a lot snappier with iOS 12 than with iOS 11. 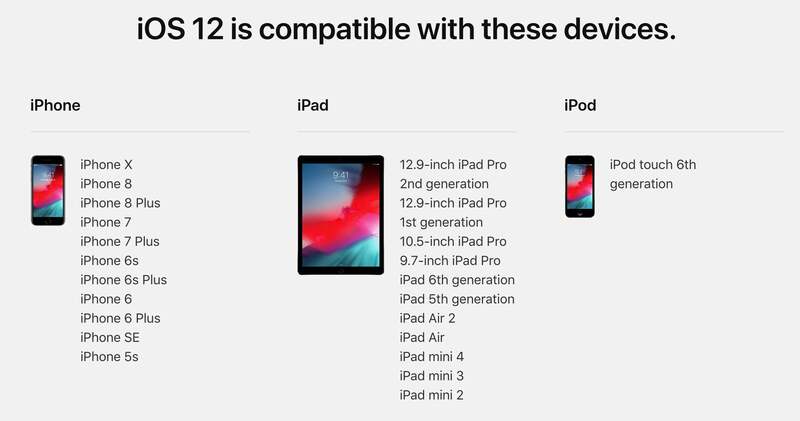 This is Apple’s list of all the devices that support iOS 12. The new version of watchOS brings some great new features, including stacked notifications, interactive notifications, better fitness tracking, Podcasts, and a nifty walkie-talkie feature, just to name a few. Here’s what Apple has to say about watchOS 5 compatibility. Apple’s custom operating system for its Apple TV streaming media box isn’t getting the sort sweeping upgrade iOS is, but tvOS 12 still adds some great new features. You get Dolby Atmos audio, new Aerial screen savers, Zero Sign-on, and improvements within the TV app. You’ll be able to upgrade to tvOS 12 on any device that supported tvOS 11. The older Apple TV devices (with ones without the Siri remote) have been stuck on iOS 8 for a few years now. Dark Mode, Stacks, Finder improvements, and new apps like News and Home...there’s a lot of great stuff in macOS Mojave (10.14). Unfortunately, if you have a Mac over six years old, you probably won't be able to run it. The new version of macOS officially drops support for any Mac before 2012, with the exception of some Mac Pro systems that have a graphics processor with Metal support. This seems to be because OpenGL is being “deprecated” in macOS 10.14. That means it’s still technically in there, and will work, but is no longer officially supported and won’t get updates. Apple is moving to its Metal graphics API, and requires systems with graphics chips that are compatible with it. Note that being stuck on Sierra or High Sierra isn't a death sentence for your Mac—the vast majority of apps will not require Mojave to run. But if you were hoping to upgrade your eight-year-old Mac Mini to the latest and greatest macOS, you'll be out of luck.